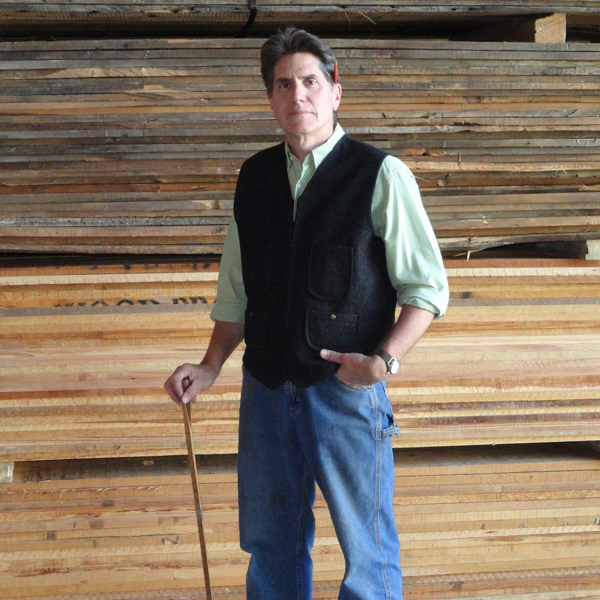 Paul Sampson and his wife, Jula, have turned their love of mollusks and woodworking into their business, Oyster River Joinery. The two work as a team; Paul creates his signature wooden oyster platters and applies the special board balm that Jula makes. “I love making the platters almost as much as using them,” said Paul. 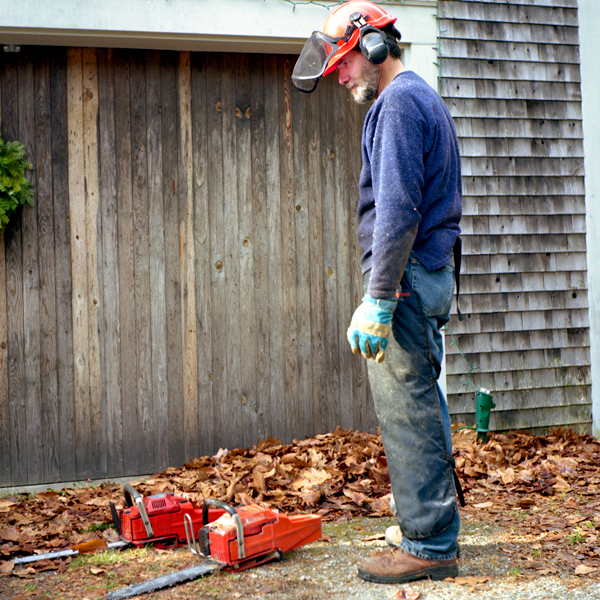 Most oyster platters are made of china or glass, material much too fragile for Paul, who often finds himself eating outside like many Mainers who live on the coast do. “The oyster platters are unique. No one has seen anything quite like them. 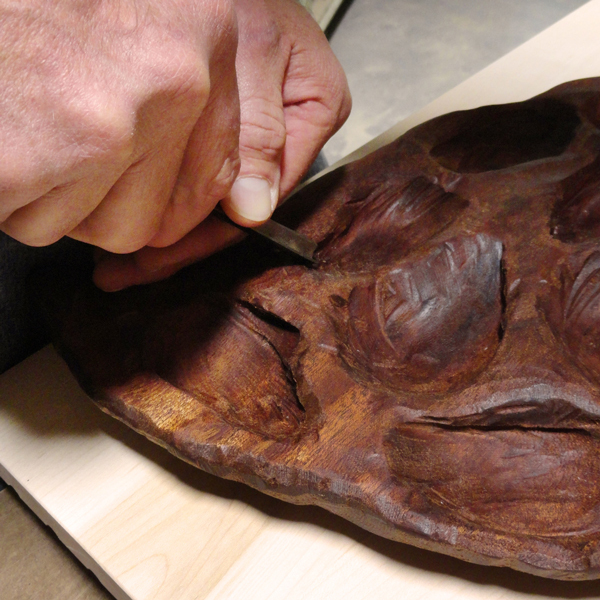 The wooden platters are beautiful and a better material for the oyster to be served on,” said Paul. 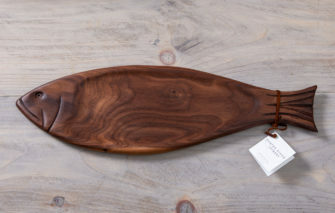 His platters are all hand carved, one at a time and feature a leather strap so the platter can be hung on a wall. Paul carefully selects each board for the platters. Each platter is made out of a single piece of wood. Special characteristics in the wood are accentuated during his creation process, so each platter varies in color and shape. The carved indentations on the platter hold oysters securely with or without ice and salt. Paul’s oyster platters are available in half-dozen and full-dozen sizes. He also offers a fish platter to serve fish such as smoked trout or lox. See his collection in our shop! 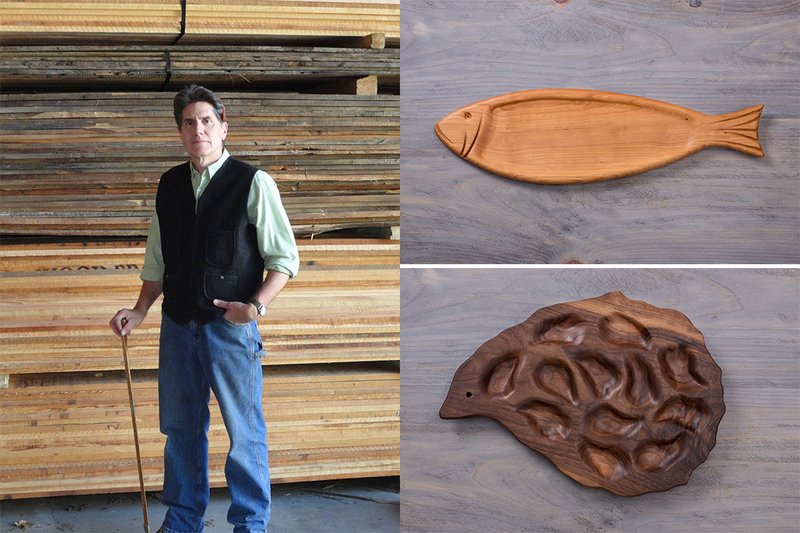 Browse Oyster River Joinery products in the Down East Shop!